WIN our Christmas goodie pack! Big congrats to our winner, Krysten from Mitcham VIC. Enjoy the treats!! Just make an online purchase during December for a chance to win! 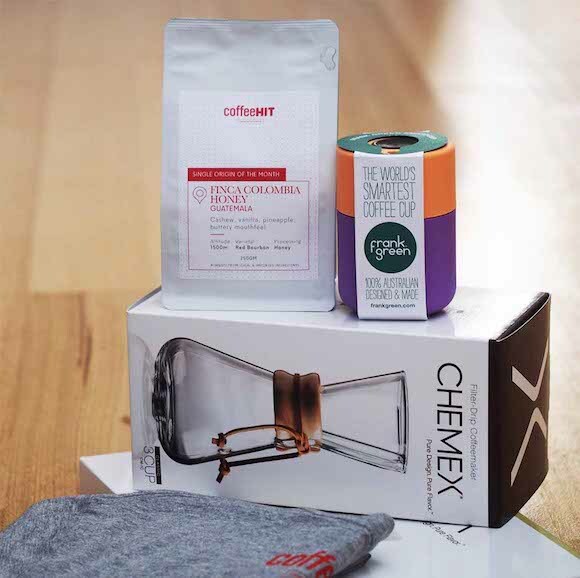 The winner will receive a 250gm bag of our single origin coffee, a 8oz Frank Green reusable cup, a Chemex (3-cup) with filter papers and a Coffee Hit branded t-shirt. And be sure to pop your orders in before December 15 if you’re wanting them in time for the big day!